for gluing of ceramic in foodstuffs, drinks and tobacco, labour-, an chemical areas as well as in swimming pools. 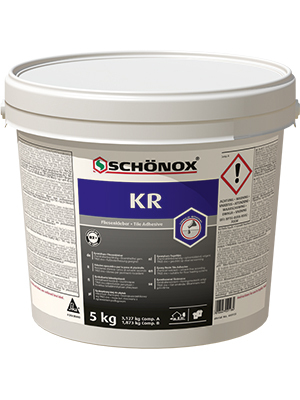 Highly loadable and resistant against alcalines and thinned organic and anorganic acids. Fullfills the R2T-requirements according to EN 12004. For interior and exterior use.